Print off these super duper cute candy corn Halloween cupcake toppers for a quick decoration for your Halloween treats. These candy corn Halloween cupcake toppers feature adorable kawaii candy corn in the center of an orange, purple, green, or yellow bordered cupcake topper. 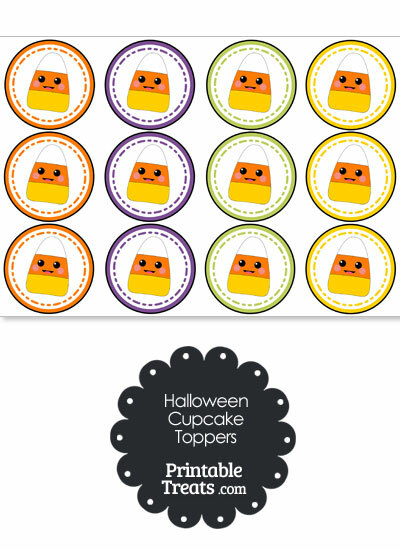 If you would like to share the Halloween cupcake toppers with a friend, please send them directly to this page so that they can download a copy for themselves. Please do not link directly to the download file.